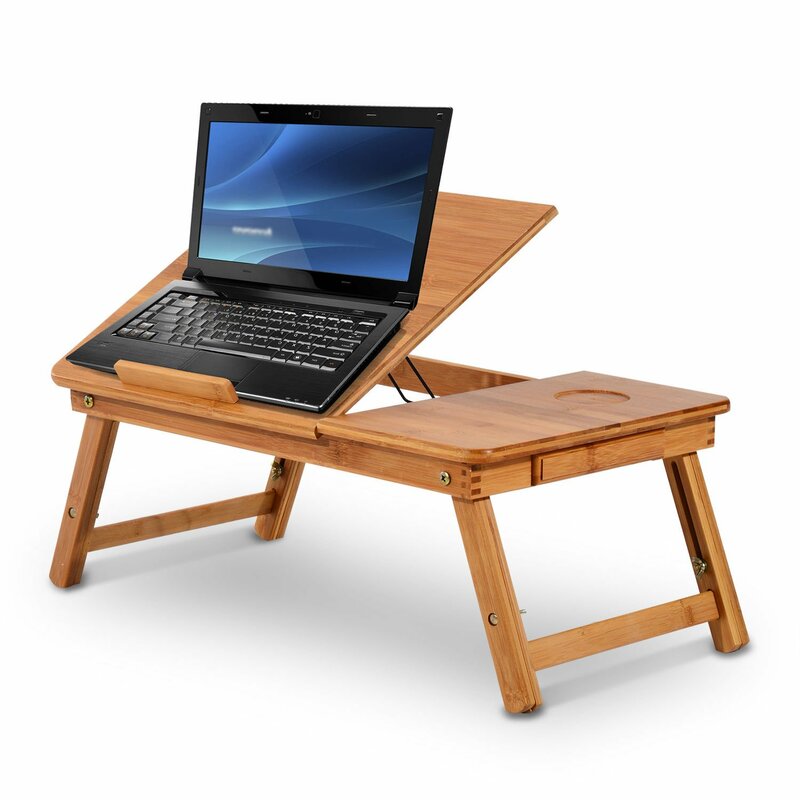 This HOMCOM laptop stand made of the high-quality bamboo material is economical and great to use. It is an ideal table for placing your laptop while still comfortable on your bed or sofa. It is able to make your laptop cool with ventilation holes and also tilt up to an angle that ensures easy use. It has enough space on the side to hold many papers or even your external mouse. It is a practical and effective item to have.